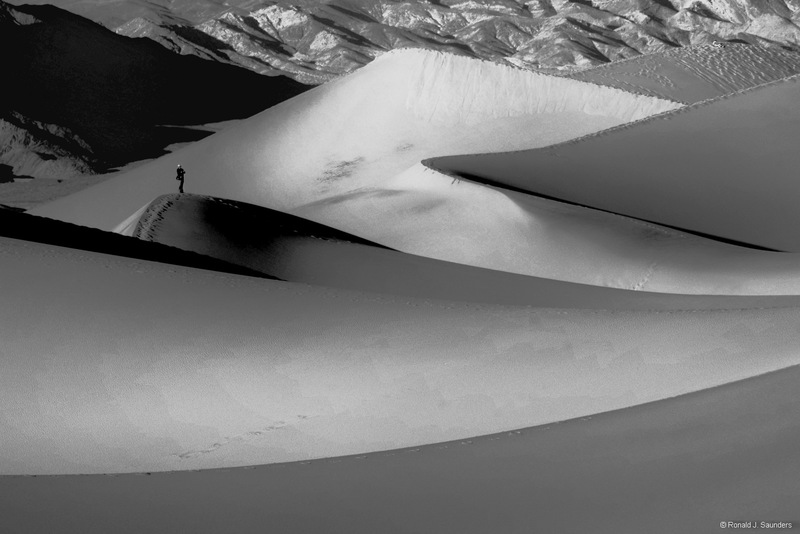 An unknown man stands on a distant dune surveying the remarkable views at Mesquite Dunes in Death Valley. He stood there for several minutes as I was taking my photographs. I think these dunes should also be called Mosquito Dunes because I received at least a dozen bites while taking the picture. Photo © copyright by Ronald J. Saunders.